Volkswagen has temporarily taken 4000 of its cars off sale in the UK as they could be fitted with the emissions cheat device. The cars are existing stock all powered by the older EA189 EU5 diesel engine that's at the centre of the emissions scandal. The 4000 cars include not only Volkswagen models but also Audi, SEAT and Skoda cars. The number only represents 3 per cent of the Volkswagen Groups entire vehicle stock in the UK but it's surprising that these cars - with the affected engine - were still available to buy despite the imminent recall. Volkswagen Group has stated that the removal is only temporary and once the vehicles have been modified and the software device removed, they will go back on sale. These are not new cars - since last month all new cars sold must be powered by cleaner EU6 engines. These are not affected by the emissions scandal. 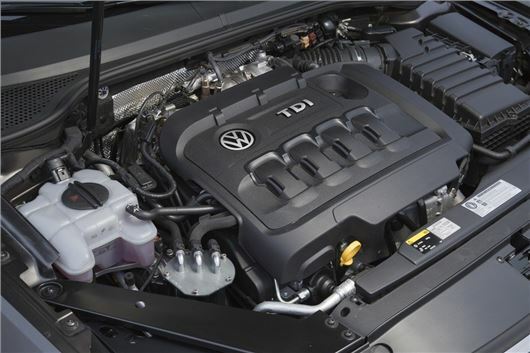 It's the older EU5 TDI diesels with the EA189 engine code that will be recalled. Manufacturers are allowed to sell existing cars with the older EU5 engine in order to clear stock. Owners of cars with the affected engine - which totals almost 1.2 million in the UK including almost half of all Audi diesels on the road - will be contacted by their local dealer in the coming weeks in order to arrange a recall of the cars. The cars will then be modified and have the software removed. Owners will not notice any difference in the vehicles themselves and as Volkswagen points out, all cars are technically safe and roadworthy. Not there's. VW say it is dealers responsibility to reimburse me. Never buy a VW after sales and pending sales service stinks.